A new class of high-purity uniform polyethers with precisely controlled monomer sequence and readily tailored side-chain functionalities, which shows great potential for use in biomedical and pharmaceutical fields, has been produced through liquid-phase iterative synthesis combining with size-exclusion molecular sieving. In nature, nucleic acids and proteins are heteropolymers with perfectly defined chain length, monomer sequence and chirality. The precise control of monomer sequence provides structural and functional diversity sufficient to generate the molecular complexity required by all living organisms. A wide range of conventional polymerization approaches, including chain-growth polymerization and step-growth polymerization can only endow polymers with polydisperse, but not uniform, chain lengths and approximately random sequences. The creation of a viable technology that enables precise control over monomer sequence and side-chain functionality in synthetic polymers remains a significant challenge. Solid-phase iterative synthesis is the premiere method for the production of synthetic polymers with well-defined chain-sequence owing to the simple reaction and purification processes, as well as its ease of automation. However, the insoluble solid supports greatly limit the rates of solid-phase coupling reactions, ultimately leading to a remarkable decrease in coupling yields and accumulation of deletion errors. 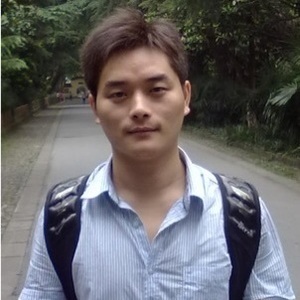 Furthermore, solid-phase synthesis is generally difficult to scale up, precluding many industrial applications, particularly in materials science. In particular, it has been proven to be impossible to employ solid-phase synthesis to fabricate uniform polyethers (i.e. poly(ethylene glycol)s, PEGs), which have been widely used in biomedical and pharmaceutical fields. This is mainly resulting from harsh Williamson ether synthesis. To this end, we develop a universal strategy that combines liquid-phase iterative synthesis with size-exclusion membrane separation technology, toward the synthesis of a new kind of precision polyethers with defined sequence and site-specific side-chain functionalities. The porous polymer membrane with a nanoscale pore width has been used for isolation of the growing polymer from a crude reaction mixture by diafiltering out excess monomers and other reaction debris while retaining the bulkier growing polymer. A three-armed star molecule was adopted as a soluble support to triple the size of growing polymer. The bulky star-shaped molecule provides good combination of molecular bulk and steric accessibility, functioning as both a protecting group for one end of the polyether and as label for monitoring reactions because of its high UV extinction coefficient. This process allows coupling reaction to proceed with liquid-phase kinetics, and enables facile monitoring of reactions in real time by HPLC to ensure coupling completion, thereby improving the sequence accuracy, purity and yield of target polymers. Compared to solid-phase synthesis, this approach shows great potential for large-scale production of high-purity synthetic polymers. Using this strategy, a >98% chain purity (sequence purity) in the resulting polyethers has been achieved, much higher than conventional synthetic polymers. The final sequence of these polyethers has been confirmed using tandem mass spectrometry by the collaborator from Swansea University. The monomer sequence in these polyethers is precisely controllable, offering the potential for site-selective multi-functionalisation, through the incorporation of functional elements at specific side-chain sites, such as affinity agents, imaging agents, anticancer drugs, genes, proteins, or pharmacokinetic modifiers, to generate a precise multifunctional macromolecular medicine. The introduction of structural versatility and diversity into synthetic polyethers further unlocks their potential for widespread applications ranging from healthcare and nanotechnology to information storage. 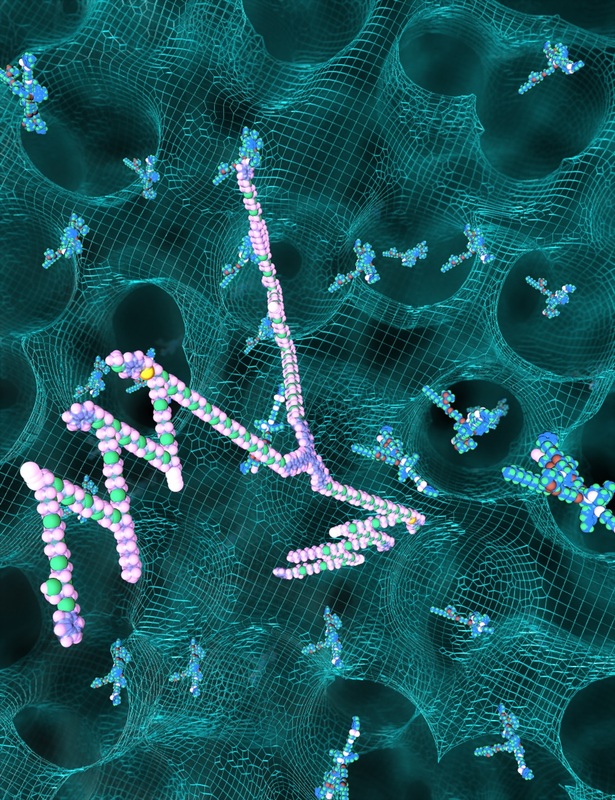 We expect that such a molecular sieving-assisted liquid-phase synthesis platform will enable the development of new kinds of well-defined functional polymeric materials for use in real-life applications. Ruijiao Dong, Ruiyi Liu, Piers R. J. Gaffney, Marc Schaepertoens, Patrizia Marchetti, Christopher M. Williams, Rongjun Chen, Andrew G. Livingston*. 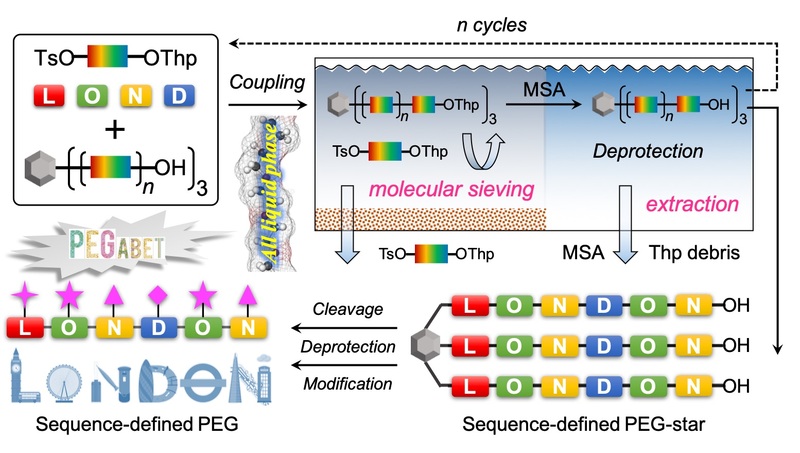 Sequence-defined multifunctional polyethers via liquid phase synthesis with molecular sieving. Nature Chemistry 2018, DOI: 10.1038/s41557-018-0169-6.